Discover Dental Implants in Charlottesville! The introduction of The Dental Implant System as a means of replacing teeth has become one of the most efficient restorative methods available. The unique design and size variety of the implants creates many options for dental implant placement. At Dentistry By Design, Dr. Ed Akeel accommodates all patient types by providing The Dental Implant system as a simple and economical method for restoring teeth. A dental implant consists of a titanium implant that is surgically placed into the jawbone. During a healing process of four to six weeks, the titanium fuses with the existing jawbone and creates a fixed replacement for the root of the tooth. A proper abutment is chosen and digital impressions are taken, which are sent to a lab where an artificial crown is created. Afterward, the crown is attached to the abutment, fitted, and cemented into place – all without the use of any screws. The entire procedure occurs over a period of several months. Dental implants are placed within the jawbone just like traditional implants, but may differ in their size and overall design. Implants can be as small as 3mm or as large as 6mm and involve no screws. Their design allows for simpler implant placement and has been shown to have a higher success rate for patients. Another notable difference lies in the abutments (or connectors) that are used to secure the implant to the artificial crown. Instead of using a screw to attach the abutments to their implants like more typical implants, dental implants use a 6-degree taper that is tapped into place, latching the abutment to the implant and making it more difficult to remove. This ensures the durability of the implants as well as the longevity of the restored teeth. 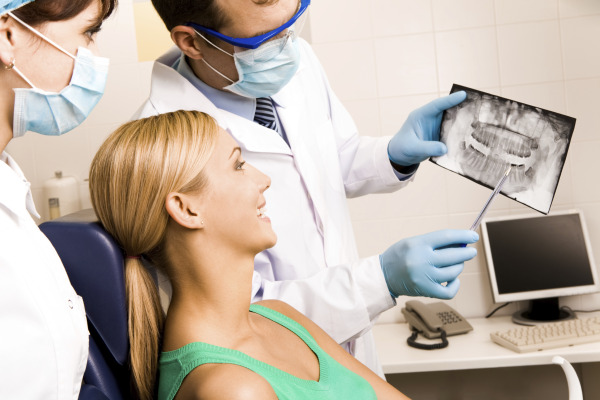 During your initial consultation, Dr. Akeel will take x-rays and assess your medical history to determine your qualifications for dental implants. Using the Sirona Galileo CBCT 3D Scan, Dr. Akeel measures the jawbone, and receives accurate measurements that determine where a dental implant should be placed. With the “crown-down” approach in mind, Dr. Akeel determines the outcome of your dental implant procedure first, and then places your implant based on the virtual images created. The precision of your dental implant placement is key to your satisfaction with your new smile. At Dentistry By Design, we keep your comfort in mind by providing the most efficient and modern restorative techniques. For more information about dental implants or general dental implant treatment, contact us in Charlottesville today and schedule a consultation!